Top 3 Indies Videos August 2, 2017! The Twinkles, The Shanghais, Daisy House, Thee 50s Highteens (Jpn)! 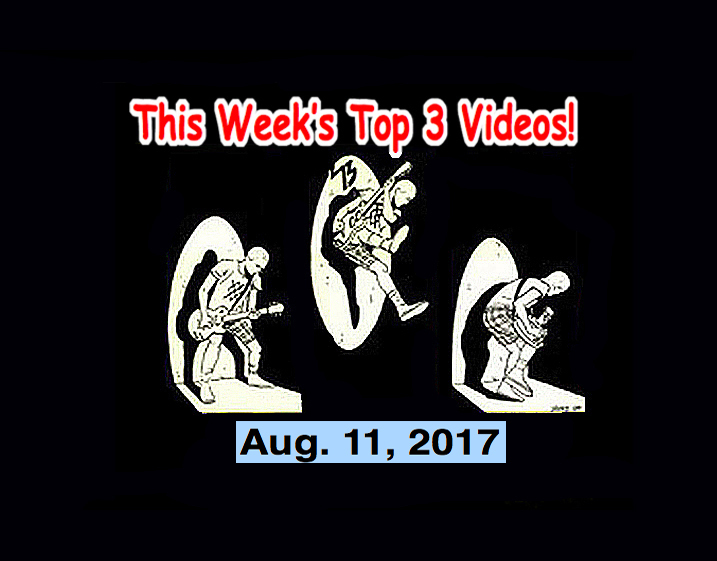 It’s time once again for the Top 3 Indies Artist Video Countdown. Today is a SPECIAL WEEKDAY EDITION of the Top 3 best Indies and Alternative Music artists for the week of August 3, 2017! Why is it a special edition? Well, it’s summer and it’s hot, so why not? Big fan, Crystal writes: “(Crossroads is) An absolute masterpiece. Albion and My Death Is Coming For Me are just stunning. Just when I think I can’t possibly enjoy your music more, you go ahead and prove me wrong.” It really is. This band is killer. Today’s song just might be up for Song of the Year! Check and then tell me how brilliant this is! Spotlight Artist! Thee 50’s Highteens – Surprise Sun Today’s spotlight is a band that was recommended to the countdown by The Routes guitarist and vocalist, Christopher Jack! It’s a Japanese girl’s band that, unfortunately, has broken up… But the lead vocalist and guitarist, Tomo, is still making music and I hope to have something by her soon. The band’s name is Thee 50’s Highteens. They were a pioneering Japanese girls band. Their bio says, Thee 50s Highteens were a screaming girls garage band that formed in 1998 in Fukuoka (Fukuoka is Japan’s southernmost large island). They were known for playing Garage Punk, Rock n Roll and “screaming violently with passion!” And, I quote, “That staging totally catfighted!” They released their 1st album in September 2003 and toured Europe in November 2005. Their second album, “PUNCH DE BEAT” was released in December of 2006. In September 2008, they toured America. After that, they moved to Tokyo in February 2009 but the band dissolved in 2010.